Richard Ewell commanded the Confederate troops at the Battle of Winchester II. The Confederate victory at the Battle of Winchester II (June 13 – June 15, 1863) cleared the upper Shenandoah Valley of Union resistance, paving the way for Robert E. Lee's invasion of Maryland and Pennsylvania. After the decisive Confederate victory at the Battle of Chancellorsville (April 30 – May 6, 1863) Robert E Lee began preparing for a second invasion of the North. Lee planned to disengage from Union forces near Fredericksburg, move the Army of Northern Virginia northwest across the Blue Ridge Mountains, and then push northeast through the Shenandoah Valley into Maryland and Pennsylvania. Troop movements began on June 3, 1863. By June 5, Lee’s 1st Army Corps, commanded by Lieutenant General James Longstreet and his 2nd Army Corps, commanded by Lieutenant General Richard Ewell, had traveled about forty miles and were encamped near Culpeper, Virginia. Also operating in the vicinity was Major General J.E.B. Stuart’s Cavalry Division. On June 9, Union Major General Alfred Pleasonton’s Cavalry Corps launched a surprise attack against Stuart’s Cavalry Division near Brandy Station. After an all-day fight, Pleasonton retired without discovering Lee’s main encampment at Culpeper, only six miles away. After the Battle of Brandy Station, Lee’s army continued their trek northwest toward Winchester in the Shenandoah Valley where roughly 6,900 Federal troops were garrisoned under the command of Brigadier General Robert Milroy. As Ewell approached Winchester, he divided his 19,000-man 2nd Corps into two wings. Skirmishing erupted on June 13, as Confederate Major General Edward “Allegheny” Johnson’s Division approached Winchester from the southeast and Confederate Major General Jubal Early’s Division approached from the southwest. Unaware that he was facing Ewell’s entire corps, Milroy began concentrating his forces at Winchester, despite instructions from Washington to evacuate and fall back to Harpers Ferry. Skirmishing continued on June 14 as Ewell’s soldiers began closing in on Milroy’s isolated garrison. Throughout the day, Ewell established artillery positions on the high ground west of town and he began bombarding the Federal defenders during the late afternoon. The Rebels then overran Milroy’s small fort and batteries guarding the west side of town. By 9 p.m., Milroy, now aware of what he was up against, called a council of war with his subordinates and determined to try to evacuate his troops via the Martinsburg Turnpike which ran northeast out of town. Aware of Milroy’s predicament, Ewell sent Johnson’s division on a night flanking march to cut off the Federal avenue of retreat. At about 4 a.m. on June 15, the lead elements of Miroy’s retreating garrison encountered skirmishers from Johnson’s Corps roughly five miles north of Winchester, near Stephenson’s Depot. Johnson quickly formed battle lines to block his adversary’s retreat. The now-desperate Milroy launched three unsuccessful assaults attempting to break through the Rebel lines and escape. When Johnson was reinforced by the arrival of the Stonewall Brigade, he launched a counterattack and Federal troops began surrendering. Escorted by a few hundred cavalrymen Milroy escaped from the battlefield and eluded pursuing Confederate troops. Union losses at the Battle of Winchester II were significant. In Ewell’s official report, he claimed capturing “23 pieces of artillery (nearly all rifled), 4,000 prisoners, 300 loaded wagons, more than 300 horses, and quite a large amount of commissary and quartermaster’s stores.” The Union lost an additional 95 men killed and over 300 wounded. Ewell’s losses totaled 269 (47 killed, 219 wounded, and 3 missing). Ewell’s victory cleared the upper Shenandoah Valley of Union resistance, paving the way for Lee’s invasion of Maryland and Pennsylvania. 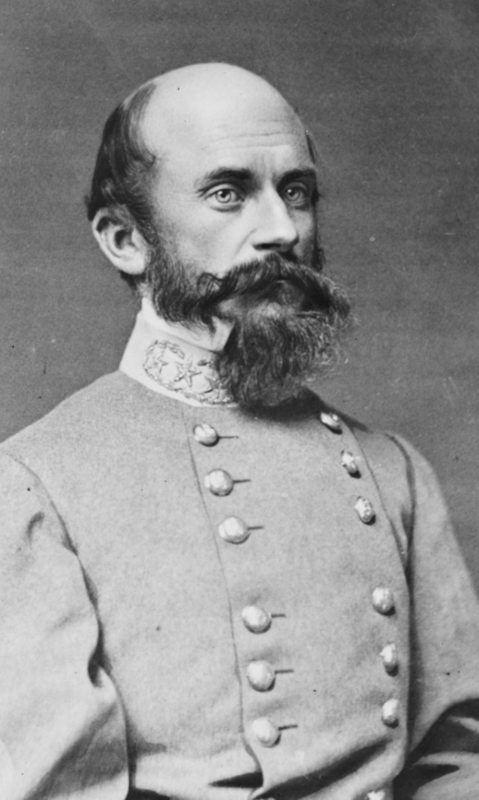 It also enhanced Ewell’s reputation in his first test as a corps commander following the death of Thomas “Stonewall” Jackson at the Battle of Chancellorsville. Milroy, on the other hand, was disgraced. His defeat was so great that his command nearly ceased to exist following the battle. On June 27, Union General in Chief Henry Halleck ordered Milroy’s arrest. In August, President Lincoln authorized the military to convene a court of inquiry to determine Milroy’s culpability at Winchester. After several months of testimony and deliberation, the court of inquiry exonerated Milroy. Nevertheless, despite Milroy’s numerous implorations during the next year, he did not command men in battle again until December 1864.